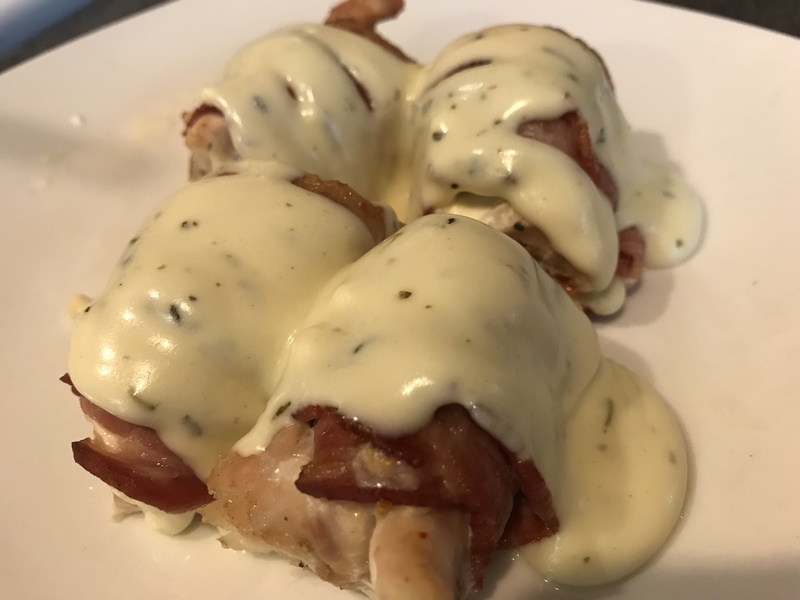 There are variations of this Chicken Bacon Wrap, but this is one that is topped with a delicious cream sauce, making it a nice gourmet dish. It can be served without the sauce, as well. For a Keto meal, it’s high in good fats, so you only need to serve this with a vegetable of choice to make a great tasty meal! Pound the chicken tenders to make flat, then cut into thin strips. Sprinkle seasoning over top of chicken. Cut thin strips of cream cheese and place one slice over each chicken piece. 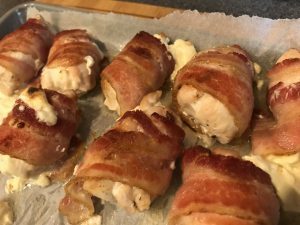 Fold chicken piece in half, then roll up one piece of bacon over the chicken. Place each piece in a baking dish. Bake in preheated oven at 350 for 25 minutes. Then broil for another 10 minutes to make bacon crispy. Combine the sauce ingredients together in a small pot and stir until melted. 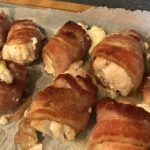 Pour sauce over chicken-bacon wraps and serve!